On Monday night, Page Six published a story about recently separated CNN reporter Jim Acosta’s new life on the dating scene. Their headline revealed that he was not just living the single life, but loving it. 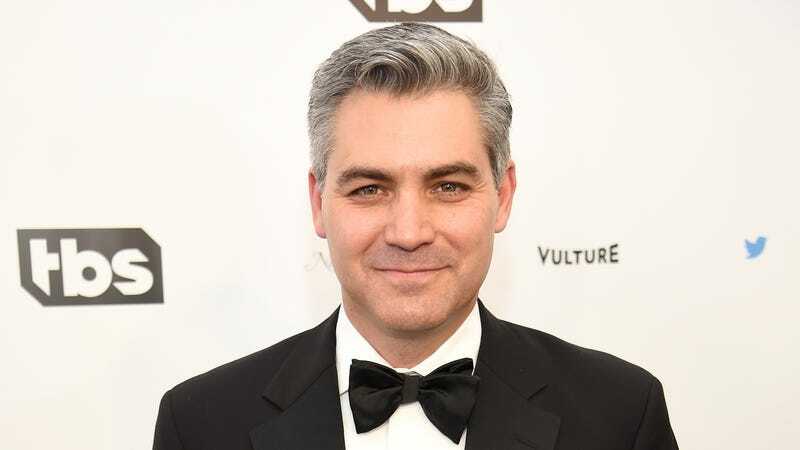 Forty-six-year-old Acosta, they report, “quietly split” from his wife earlier this year, and “has been embracing the single life in Washington, DC” ever since. And who could blame him? Page Six describes Acosta as a “handsome Cuban-American” who has allegedly been seen “with different women” in his apartment building, and “was quite popular on the recent presidential trip to Saudi Arabia.” This makes sense, given the fact that all recently separated middle-aged straight men release a unique pheromone that makes them irresistible to all women. And because silver-haired men release up to three times as much of the pheromone, Acosta is presumably swimming in it. Congrats to Jim Acosta for his recent successes, and to Page Six for the scoop!